At Ebersole, our success has been built upon our commitment to customer service excellence. Ebersole Bros is part of an expansion of Ebersole Honda Buick GMC's used vehicle operation. Since Ebersole's beginning in 1920, Ebersole has grown to become one of the premiere used vehicle operations in Central PA. Ebersole Bros strives to have a vehicle for everyone's taste and budget. All vehicles are inspected by one of our fully trained, factory certified technicians. 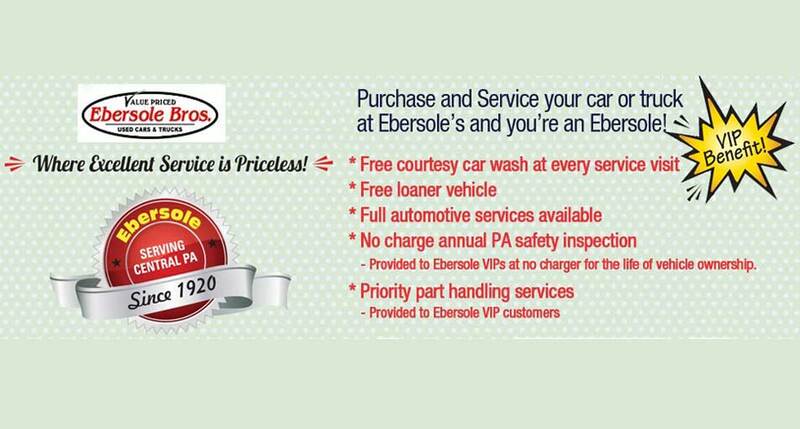 Ebersole Bros goal is to have customers that drive away in confidence, knowing they bought a great vehicle from a company that stands behind their product. Throughout the years, Ebersole has always made exceeding its customer's expectations primary objective. Automotive Excellence Since 1920! Jon, Patrick, Barry, and Moises are eager to share their knowledge and enthusiasm with you. We encourage you to browse our online inventory, schedule a test drive and investigate financing options. You can also request more information about a vehicle using our online form or by calling us. Inventory shown is only a partial list of what we have available. We will gladly inform you when a matching car arrives. If you'd like a see a vehicle in person, click here for map and directions, or give us a call. We look forward to serving you! Ebersole Bros features vehicles from the following preowned makes, Honda, Buick, GMC, Pontiac, Chevrolet, Hummer, Saturn, Ford, Nissan, Toyota, Hyundai, Kia, Chrysler, Dodge, Jeep, Mazda, Subaru and various other makes and models. Ebersole Bros's inventory is typically weighted in one owner, clean, non-smoker trade-ins and purchases. Ebersole Bros serves Central PA primarily in Lebanon, Lancaster, Schuylkill, Hershey, Harrisburg, Reading and other surrounding areas. However, Ebersole Bros has delivered many used vehicles all over PA and other states like Maryland, Virginia, New York, New Jersey and Delaware. 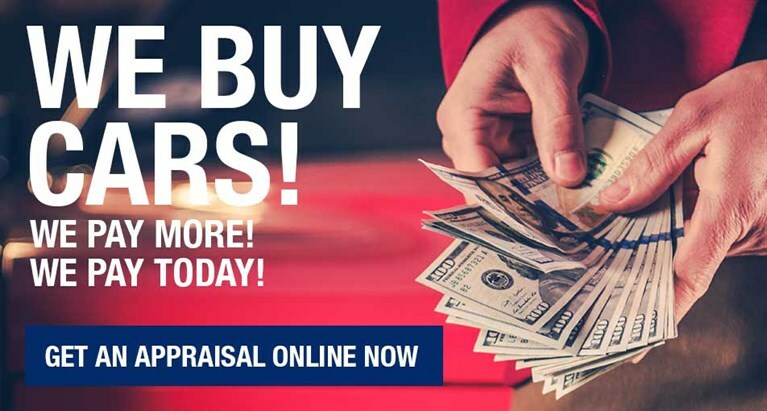 Used Cars Lebanon PA.
Used car dealer serving Lebanon, PA.
Ebersole Brothers is a used car, truck, and SUV dealer located in Lebanon, PA and serving Central PA. We have taken pride in our customer service excellence since our beginnings in 1920. We want our customers to be the most informed they can be when they buy a used car. Our goal is to offer buying opportunities that fit everyone’s budget. We want our customers driving away knowing they made a great purchase from a Central PA used car dealer that stands behind their product.